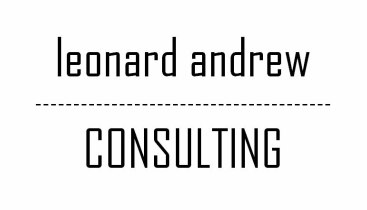 Athletic recruiting is the cornerstone of Leonard Andrew Consulting - blending academics and athletics to find the best school, and the best team, for you to showcase your abilities. Just like the application process, the world of prep and collegiate sports can be a stressful undertaking, so allow us to guide you and your family through the complexities of athletic recruiting. Our consultants have a deep understanding of athletic recruiting, be it for prep school or for NCAA Division I, II, or III, because they have all been there themselves as student athletes. We will develop an individualized action plan for you and proactively help you through each step of the recruiting process - guiding you to an understanding of the NCAA's rules and regulations, review the various scholarship opportunities that are available, as well as put you in contact with a vast network of coaches. LAC works to really get to know a student athlete, on the field as well as off, so that we can highlight their achievements and talents for coaches and teams across the country. + Identify your strengths and goals. + Analyze your athletic history; statistics, skill level, & awards. + Watch a game to see first-hand how you are as a player. + Consider camps, showcases & combines. + Provide you with an understanding of coaches & programs. + Set up official and unofficial school visits, tours & interviews. + Obtain coach & scout evaluations. + Advise you in the development of your athletics resume. + Sport specific personal training. + Network on YOUR behalf + Market YOU = EXPOSURE. LAC also offers full service recruiting video production. From filming to editing let us work with you to develop highlight reels that will create a lasting impression!